Hello, this page is currently under construction. 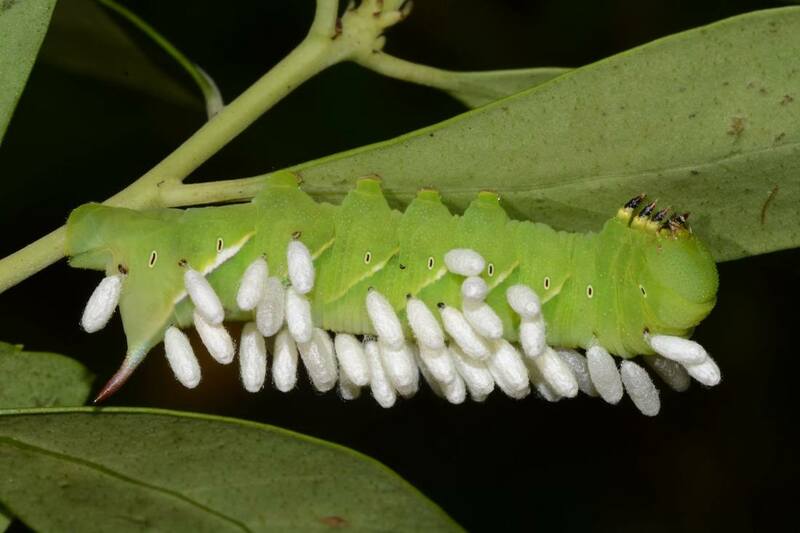 What you will eventually find here is a database containing known parasitoid relationships to various species of Sphingidae (sometime in 2019). 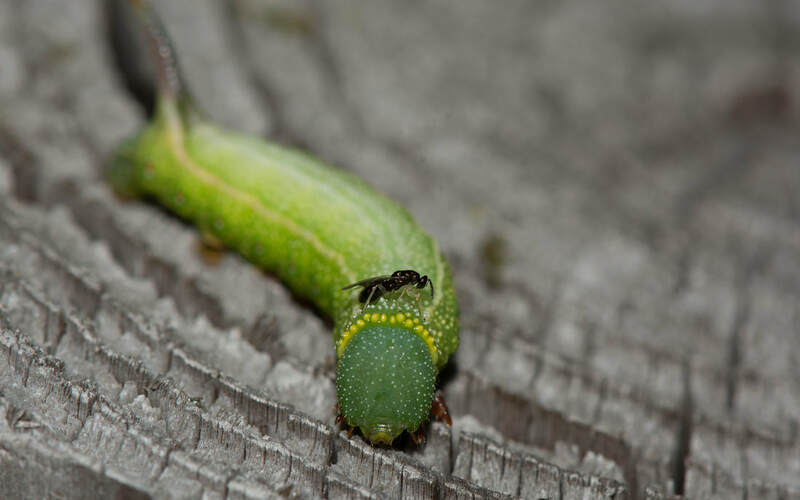 You will also find some examples of common non-parasitoid predators as well. 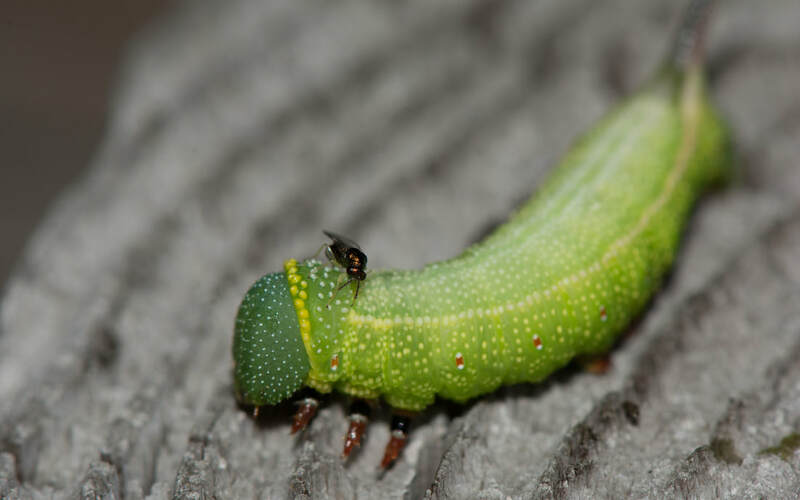 What you’ll find here currently is a brief explanation on parasitoids, some common non-parasitoid predators, and some images of parasitoids and predators. Parasitoids are other insects (usually wasps and flies) that lay their eggs in caterpillars! Unlike parasites, parasitoids kill their host. Many species of both wasp and fly use Sphingidae larvae as hosts. There are some notable examples, such as the Braconid wasp Cotessia, or the Tachinid fly Compsilura coccinata. 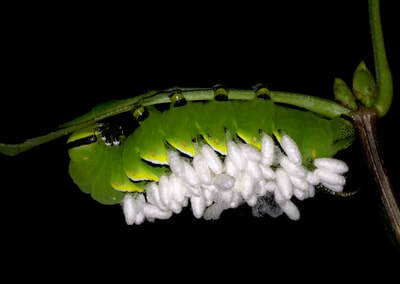 There are many, many other parasitoids of these moths however. Below you will find a database containing some of of the known relationships. Birds are predators of Sphingidae in their adult and larval forms. Bats are predators of adult Sphingidae as well. 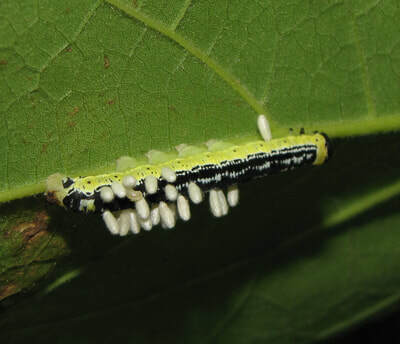 Larval sphingids are preyed upon by many things, including hemipterans, arachnids, and hymenopterans. Certain insects will also feed on adult sphingidae, like arachnids and mantids. 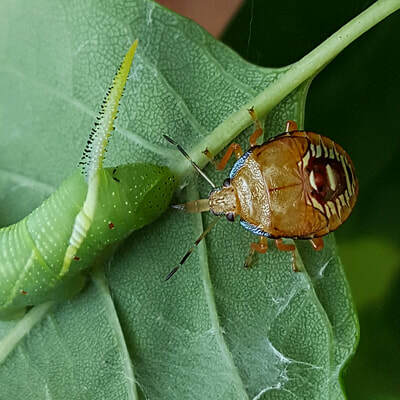 Below find a gallery of parasitoid and other predator images. The images may not be identified to species (it’s hard sometimes), but you can find all of the information available in the captions of each image.